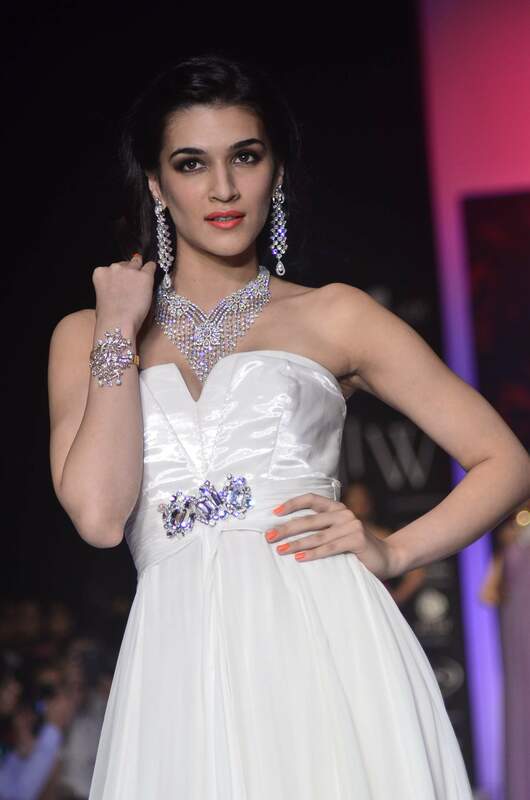 Kriti Sanon sashayed down the ramp at the IIJW 2014. Bollywood newbie Kriti Sanon walked the ramp for Mahabir Jewellers on Day 3 of the India International Jewellery Week (IIJW) 2014 – July 16, 2014 – being held at the Grand Hyatt Hotel in Mumbai. 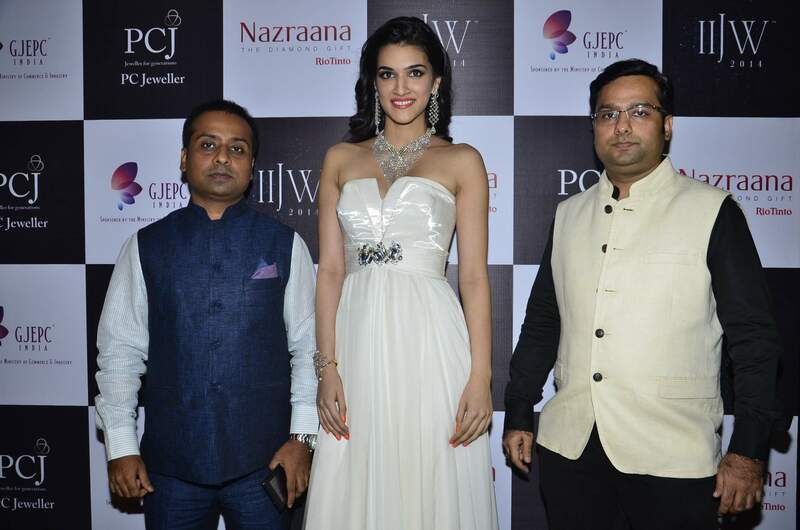 The ‘Heropanti’ actress bedazzled onlookers in a flowing white gown paired with shimmery jewellery. Sanon took her Twitter account said that her first show as a showstopper for IIJW was amazing and that she felt nostalgic as she walked the ramp after almost 2 years. The Mahabir Danwar Jewellers was founded by Late Shri Mahabir Prasad Soni in 1970. Today, it is a professionally run and integrated business organization. Kriti made her Bollywood debut with the movie ‘Heropanti’ opposite Tiger Shroff.